After a car crash, every task could get a bit daunting. Finding a lawyer who will get the best settlement for your case should not be a headache. Tens of millions of dollars are spent every year on advertising for attorneys just looking for their next big paycheck. Here at Eola Law, we have your best interest in mind. We want you to get justice for your car accident. Most clients never get the option to choose an attorney. They fill out a stack of accident forms and in those forms is a retainer agreement for a lawyer who automatically gets your information to work on your case. DO get immediate medical attention documenting your injuries. If you feel any pain at all, do not hesitate to go to the ER immediately. If you do not go to the ER or see a doctor immediately, the insurance company will try to use that against you to accuse you of not being as injured. DO take pictures at the accident scene and any injuries you may have. Take pictures of your car, the other person's car, and any debris relating to the crash. Cooperate fully with law enforcement. If for some reason the police officer writes you a ticket at the scent of the car crash even though you don't believe you're at fault don't fret, we may still be able to help you. Although an insurance company may use this to try to deny your claim, under Florida law, the ticket cannot be used against you in a trial for damages against the other person. DO report the incident to your insurance company. DO call Eola Law right away so we can stop the insurance company from harassing you. DON'T refuse medical attention at the scene of the accident. The insurance company will use this against you to say you're not injured even though you may be legitimately hurt. Sometimes you won't feel pain until days later, but it's better to get checked out right away. DON'T talk to the insurance company about your injuries or give a recorded statement over the phone. We may decide to do this later, but it should be in the presence of your attorney. DON'T leave the accident scene without waiting for the police to fill out an accident report. DON'T delay opening your case or filing a claim because you think your insurance premiums will go up. Call us today so that we may give you a FREE case evaluation! 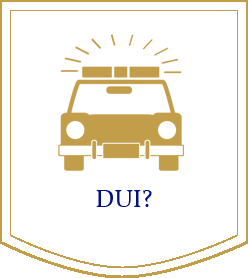 If you are charged with a DUI (driving under the influence) you may be facing jail time, license suspension, probation, DUI school, community service, and a conviction that will be on your record for the rest of your life. We can help. There are many options available to you at Eola Law depending on what happened before, during, and after the DUI charge. We can find technical hurdles in the Constitution that law enforcement must comply with for the State of Florida to convict you. For a fair chance at winning your case, you need an experienced attorney who has your best interest in mind. We have helped several people either lessen their charges or have them thrown out entirely. Contact us today for a FREE case evaluation! Let us assist you with your DUI charge. The penalties for drug crime convictions can be severe. Extraordinarily long jail sentences are commonplace. 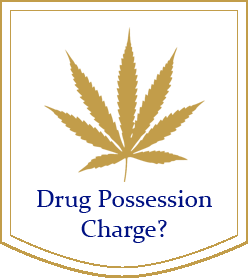 Even seemingly minor drug crimes can result in serious penalties, and in the event of a second or subsequent conviction, it only makes matters worse. For instance, did you know that if you are caught with over 4 grams of Oxycodone with no valid prescription or Heroin that you could be facing a MINIMUM MANDATORY of 3 YEARS in Florida State prison and a minimum fine of $50,000? Also, did you know that if you are convicted of drug possession or trafficking crime that the State of Florida will suspend your driver's license for a year? Drug convictions can have long term consequences that can affect your ability to get a job or acceptance to certain schools. Fortunately, a skilled attorney like the ones at Eola Law can apply a defense will result in getting your case thrown out, dismissed, or significantly reduced. Most people have tripped or slipped and fallen at some point. Usually, you shake it off, and there is little or no injury. Other times, the fall can be more problematic, leading to injuries that require medical attention, physical therapy, and in the worst cases, partial or permanent disability. Whether it's a store, bar, nightclub, or an office building, dangerous and slippery conditions can be anywhere. Many people do not want to make a claim or file a lawsuit because they are scared away by the complexity of the legal system, or they have a prior relationship with person or business where the fall happened. 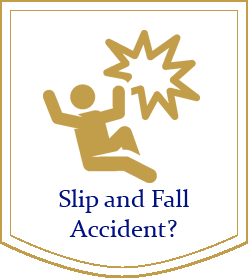 However, an Eola Law slip and fall lawyer knows the property owner where the fall occurred will rarely have to pay for your injuries out-of-pocket. Instead, insurance policies cover such occurrences, depending on the circumstances. 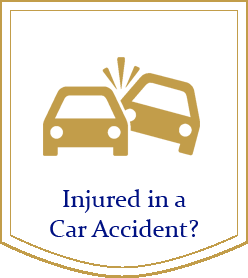 Usually, compensation for your injuries will come directly from the insurance carrier providing coverage. Falls can happen anywhere, but they often occur in commercial businesses, which have a legal duty to keep their premises safe for patrons. If a company breaches that duty and fall results, then you should be entitled to compensation for your injuries. To find out more about how Eola Law will handle your case. Contact us today for a FREE evaluation.